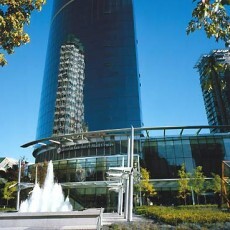 This glass-sided, skyscraper hotel in downtown Vancouver is 1.1 km from the Vancouver Convention Centre, and 2.1 km from Stanley Park. Featuring modern decor, free WiFi, and floor-to-ceiling windows with mountain, city or ocean views, the subdued rooms have flat-screen TVs, minifridges, and tea and coffeemaking equipment; some have balconies. Suites add separate living areas, while club rooms and suites come with private-lounge access, breakfast and evening snacks. 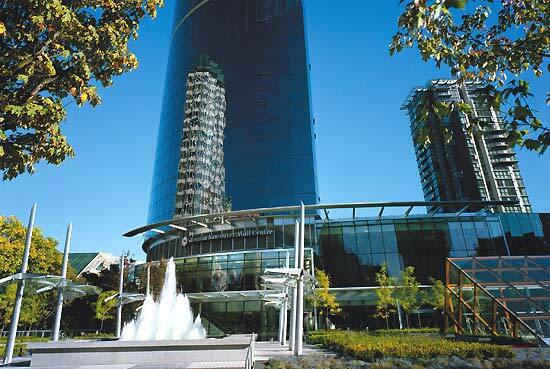 Amenities include a stylish restaurant/bar serving West Coast cuisine, plus a hair salon and a wine store. There’s also a fitness centre with a lap pool, 2 Jacuzzis and a sauna.